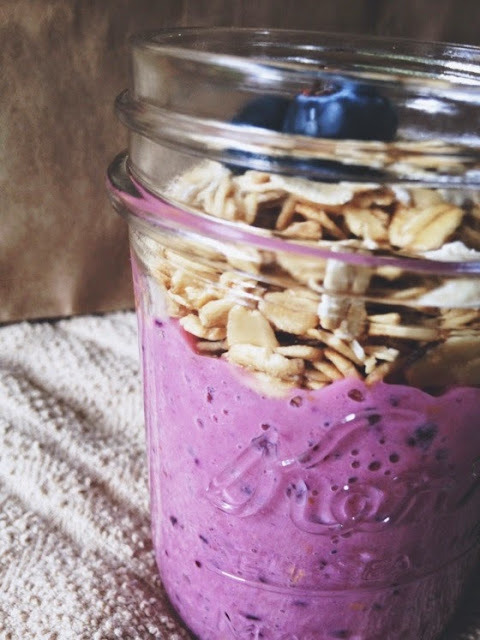 Through my ventures on Pinterest, I have been seeing these beautiful parfait yogurt-smoothie jars. 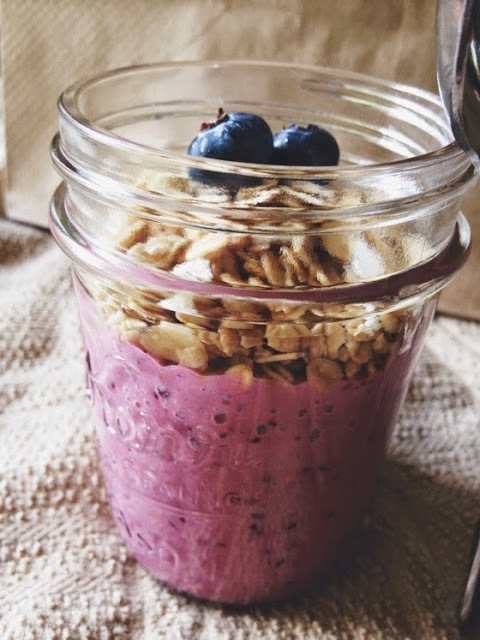 They are so colorful, and scrumptious looking, and they certainly are a healthy breakfast choice. 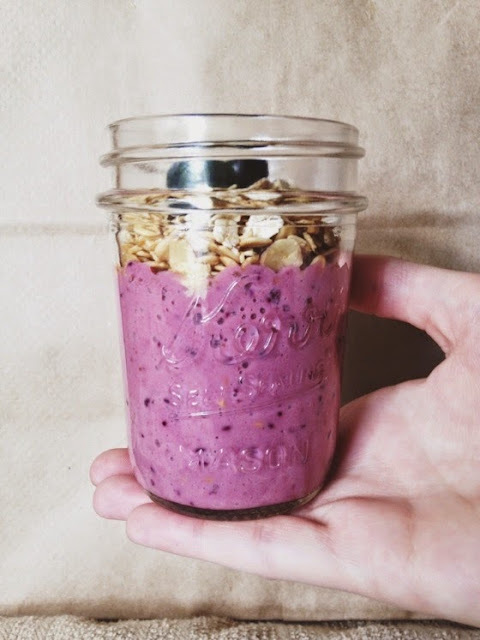 I was so excited to get started, crafting these beautiful breakfast creations. 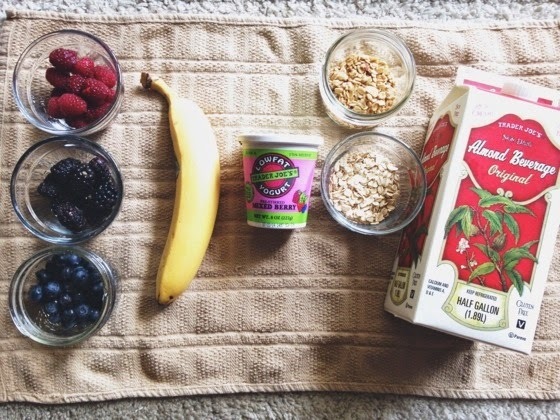 In a blender, scoop the yogurt into the blender, and add in the raspberries. 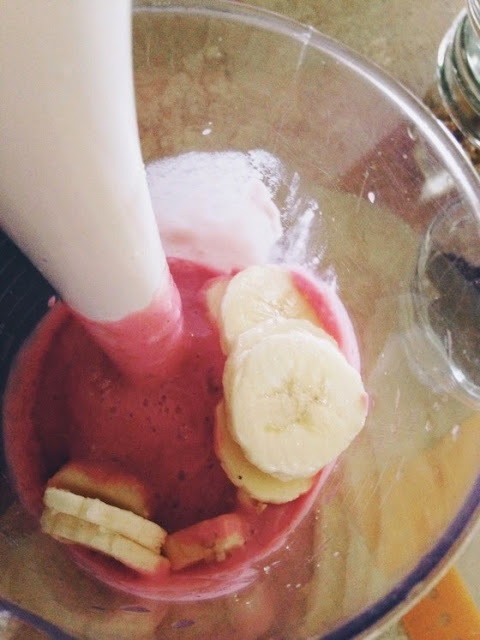 You want to make a pink base for the smoothie. 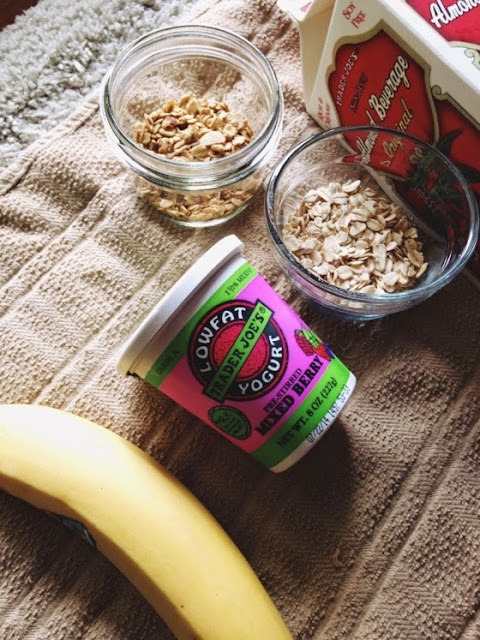 Next, add in some banana slices, and blend. After that, add in about six blueberries, and six blackberries, this will add in the lovely purple color. 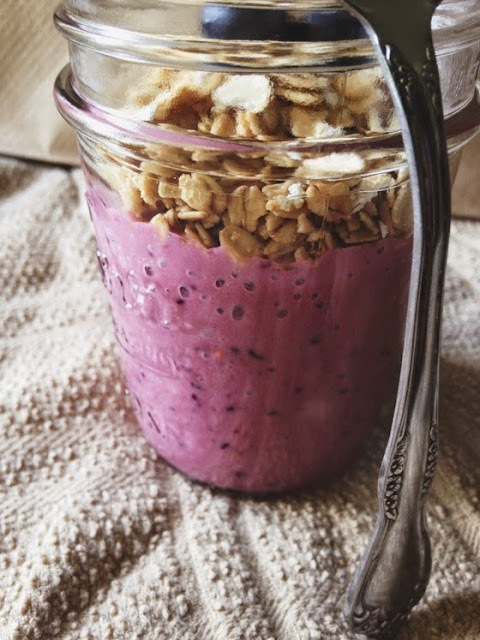 Pour the smoothie in a container and sprinkle on the granola, oats, and as an optional choice. Grab a spoon, and eat up, or refrigerate. I topped mine with some blueberries. It was delicious! 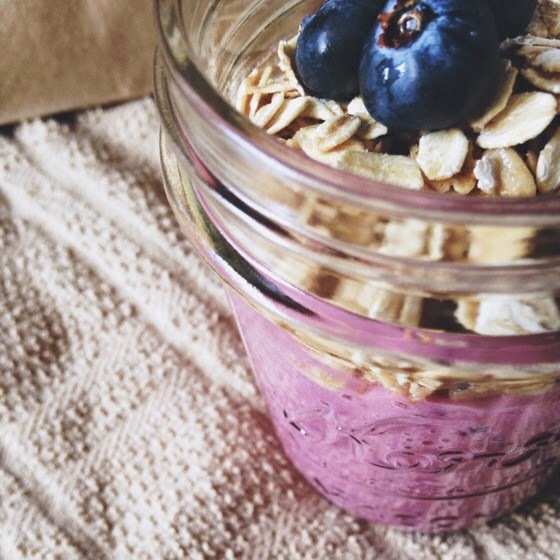 I have been trying to eat healthier, and making pretty, colorful, healthy food helps to motivate me. 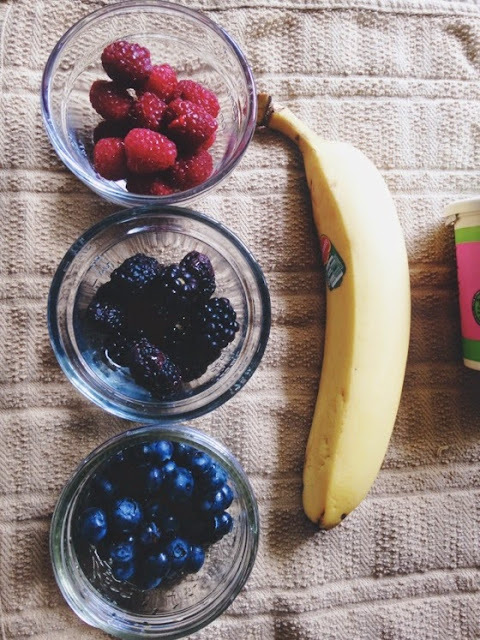 Making these smoothies is like food chemistry, experimenting with the differet berries, and different colors of yogurt to make the different colors of smoothies.